Maybe "Independence Day 2: The Squeakquel" was taken? The long-awaited sequel to 1996 blockbuster hit "Independence Day" will officially be called "Independence Day: Resurgence." The news was announced during a 20th Century Fox livestream featuring director Roland Emmerich and cast members Jeff Goldblum, Vivica A. Fox and Liam Hemsworth, among others. "Independence Day: Resurgence" will take place in present-day, 20 years after the events of the original film, as humanity prepares once again to battle an invading alien force. "The world has advanced, time-wise, in exactly real-time," said Goldblum. Audiences can expect to find familiar characters taking on unfamiliar new roles. "For instance," Goldblum continued, "I am now the director, so-called, of this earth-space defense." Though Goldblum, Fox, Bill Pullman and others will revisit their "Independence Day" characters, Will Smith will reportedly not return for the sequel. 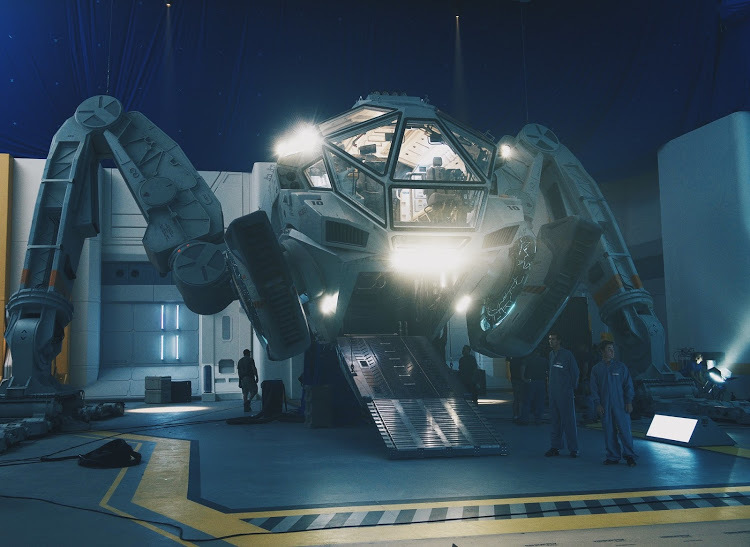 The studio has also released the first photos of the Moon Tug, a spaceship that will appear in the film. "Independence Day: Resurgence" is scheduled for release June 24, 2016. John Woo made an inauspicious American debut with "Hard Target," a balls-to-the-wall action movie starring Jean-Claude Van Damme that features, among other things, homeless people being hunted for sport a la "The Most Dangerous Game," poisonous snakes, arrows through the neck, a major action sequence taking place in the hanger where they keep the Marti Gras floats and flagrant use of a Creedence Clearwater Revival song. In short: it's truly awesome. Overseen by Sam Raimi, who was there as insurance for a worried Universal Pictures (they were nervous about an Asian director being on the movie), the film was initially so extreme that it was awarded an NC-17 by the MPAA, necessitating something like 17 cuts before it even got an R. As it stands, the movie is the cult classic of junky action movies.